If you are looking to adopt a French Bulldog, or have one that you need to rehome, contacting a French Bulldog rescue group should be your first step. While you can find Frenchies in your average animal shelters, a breed-specific group will have volunteers who are experts in the particular breed. There are a number of reputable Frenchie rescue organizations throughout the USA. Each has their own adoption and surrender procedures and fees for their dogs. FBRN is a national network of volunteer rescuers dedicated to helping Frenchies who need homes. They have regional areas across the United States and Canada and all dogs are kept in foster homes til they are adopted. Submitted applications require a $10 non-refundable application fee, as well as a home visit, veterinary references and a phone interview. You will need to travel to bring your dog home although they may help arrange transport in some special circumstances with special needs dogs. Adoption fees are $700 for dogs under two years old; $500 for dogs between two and eight years, and $350 for dogs over eight years old. If you have a Frenchie that you need to place, FBRN encourages you to contact them as they get most of their dogs from owners no longer able to care for them. You will need to fill out an extensive questionnaire about your dog and relinquish legal ownership. SNAFU rescues small brachycephalic breeds which primarily means French Bulldogs and English Bulldogs. They are headquartered in Iowa and Nebraska and services mainly those states as well as a few neighboring Midwestern states. They do adopt nationwide and to Canada if you travel and pick the dog up. Adoptions require filling out an extensive application with personal and veterinary references. Adoption fees range from $350 to $600 depending on the dog. If you have a Frenchie to surrender, contact SNAFU regarding evaluating your dog for adoption. Based in the Northeast, SNORT rescues small brachycephalic dogs including Frenchies. SNORT takes dogs in from public shelters and from owners who can no longer care for their dog. SNORT adopts to residents to the following states only: Connecticut, Delaware, District of Columbia, Maine, Maryland, Massachusetts, New Hampshire, New Jersey, New York, Pennsylvania, Rhode Island and Vermont. The adoption process includes an online application with a $10 application fee, a phone interview, personal and veterinary references, and a home visit and personal interview. Adoption fees vary by each dog and can range from as low as $99 and as high as $850. If you have a Frenchie you need to surrender, SNORT will ask you to fill out a form describing your dog's history and personality and work with you to take in your dog to an available foster home. French Bulldog Village is a private group of rescuers who are located across the United States. The adoption process includes an application with a $10 fee, veterinary references, phone interview and a home visit. Dogs are placed nationwide but you must pick up the dog and shipping is not allowed. Adoption fees are different for each dog and can be as high as $850. French Bulldog Village takes in owner surrenders as well as dogs from breeders. They will ask you to fill out their surrender form to provide more information on the dog prior to taking him or her into a foster home. Located in Ohio, Buckeye Bulldog Rescue focuses on French and English Bulldogs needing homes. They will adopt out to states surrounding Ohio if you are within 2 hours of the border. If you live in a neighboring state, contact them before filling out an application to make sure it will be possible. The rescue will not place dogs into homes with children under the age of 8 with no exceptions. Adopters must be over 24. Adoptions require an application, $10 application fee, home visit, and fees range from as low as $200 to as high as $850. If you have a dog you need to place, there is an information form to fill out before they will contact you to discuss the details of taking the dog in to a foster home. Dedicated to finding home for French and English Bulldogs, No Borders Bulldog Rescue is located in Texas. The rescue adopts dogs out nationwide but you will need to come to Texas to pick up and transport your dog. An application, home visit and interview is required. Adoption fees are between $300 and $600 depending on the dog's age and particular issues. No Borders Bulldog Rescue can take in dogs from owners who no longer can care for their dogs. There is a surrender form to fill out as the first step in the process. If you are not located near any of the recommended rescue organizations and prefer not to travel to another state for adoption, you can contact the FBDCA for additional recommendations in your state. You can also contact local breeders and veterinarians who are knowledgeable about the breed. Another rescue located in Texas, Short Mugs Rescue Squad is in the Houston area and works with French Bulldogs. They also will rehome English Bulldogs, Boston Terriers and Pugs. The rescue adopts throughout Texas as well as Oklahoma and Louisiana. They do not adopt out to any other states. Their application process consists of an application, $10 application fee, veterinary reference and home visit and you must be at least 21 years old. Adoption fees run from $250 to $600. Short Mugs Rescue Squad will take in owner surrenders if they have an available foster home although they can work with you if you need to place the dog immediately. Fill out their surrender form prior to discussing your dog with one of the rescue's volunteers. Headquartered in Indiana, this rescue places dogs in Indiana, western Ohio and Kentucky only. The adoption process include an application form, phone interview, personal and veterinary references, a meet and greet, and a home visit. Adoptions are set up as one-week trial adoptions to make sure the dog fits into your home before it is finalized. If you are looking to place your dog, the rescue will ask you to fill out their surrender form and make a $50 donation and submit veterinary records. If you can't locate a French Bulldog in a rescue close to you, try checking out local shelters as well. Use the Petfinder and Adopt-a-Pet apps to search based on breed name and zip code. While French Bulldogs are harder to find, it's not impossible for one to show up in a public all-breed shelter. Responsible breeders will take back dogs from their litters no matter what their age. Therefore many French Bulldog breeders may have an adult dog or two available for adoption. Use the French Bulldog Club of America's website breeder directory to contact local breeders to see if they have any dogs that need an adoptive home. Frenchies can be at risk for separation anxiety as they tend to be very people-focused. 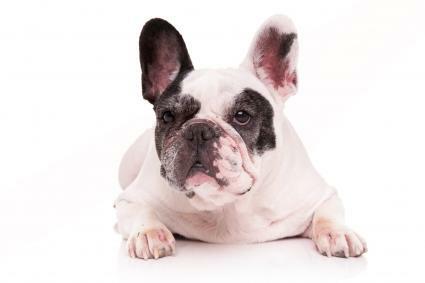 Frenchies come with their own set of medical issues because of their short snouts such as eye problems. This also means they need to live in an area where they will not overheat. They can not be left out in the yard or taking for long walks on hot summer days. Rescue groups may also require you to have a security fence if you have a pool as these dogs can easily drown because of their short snouts. 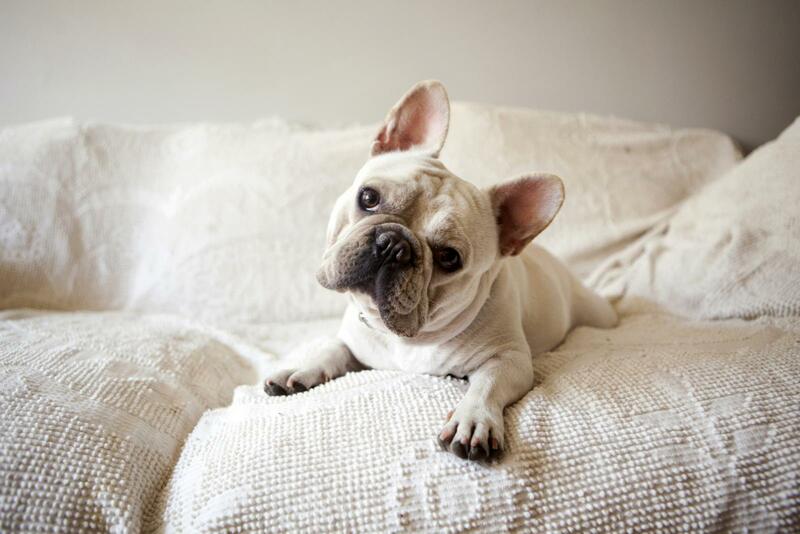 Some Frenchies can bark excessively and this may be a concern if you currently live in a condo or apartment. Many French Bulldog rescues will not adopt dogs to homes with children under eight years old. This doesn't mean they are not good family dogs as many dogs that come into a rescue are there because of behavioral or medical problems their previous home could not handle. A well-socialized Frenchie can be an excellent family dog but if you have younger children, you should listen to the knowledgeable volunteers at these rescue regarding their available dogs to make sure it's a good match for all involved. Another commonality you may notice with French Bulldog rescue groups is that their adoption fees can be quite high. It's not unusual to pay anywhere from $500 to $850 for a dog up for adoption. The reason for this is that care for these dogs can be expensive and you should make sure you have the available funds to cover any medical problems that arise during your ownership of the dog. 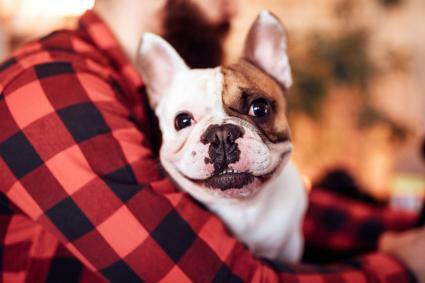 If you have your heart set on a French Bulldog and you're aware of the unique quirks and financial costs involved with this breed, finding a dedicated French Bulldog group is a great way to find a dog. There will definitely be a long adoption process so you'll need to be patient, but you can also feel good knowing that you're dealing with individuals who really know this breed.